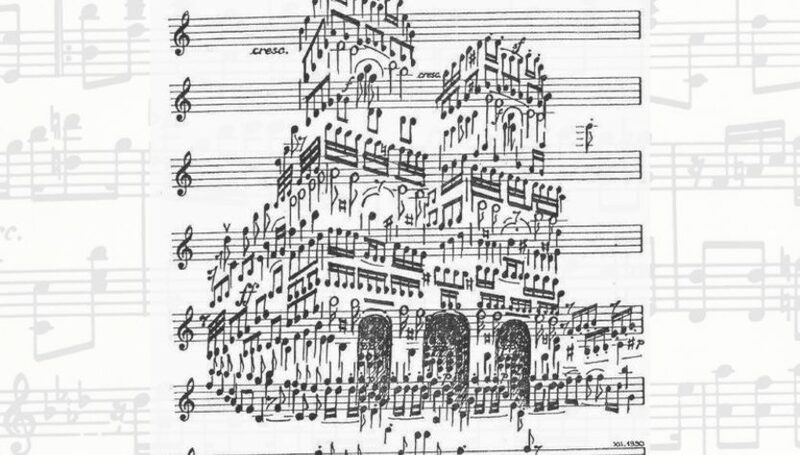 The relationship between music and architecture is not a recent occurrence. As long as music has been performed, there has been a connection with the environment it is performed in, and beyond that, with architecture. “As abstract art forms based on rhythm, proportions and harmony, architecture and music share a clear cultural lineage”. Well before the 20th century composers were writing pieces specifically for their desired performance venues, be it palaces, cathedrals or concert halls. As we entered the 20th century, and with the advent of the machine age, modern composers started to draw other parallels between music and architecture, some even merging music and structure to create more fluid, organic forms. The qualities that unite music and architecture “can be seen in ceremonial architecture from the ancient Brodgar Stone Circle to concert halls, in structures that heighten the senses and make one perceive more sharply and emotionally. 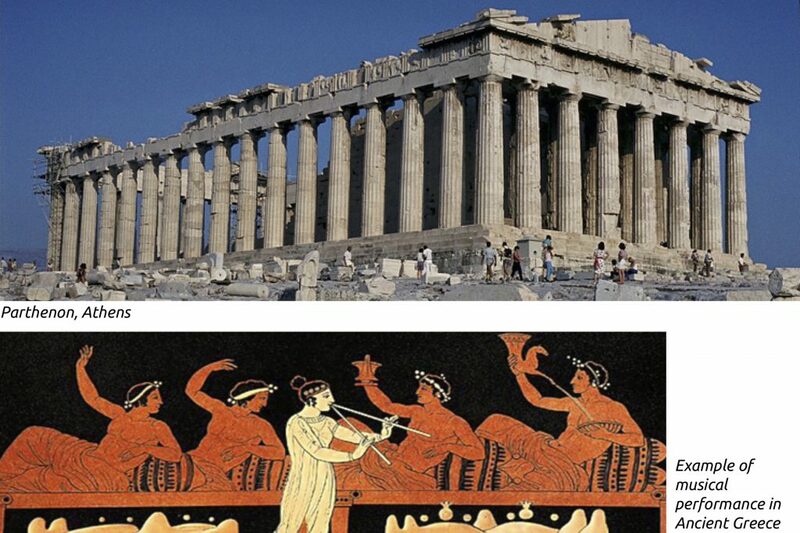 In an era when museums and other building types emerge as a suitable place for musical ornament, and when expressive shapes can be produced digitally, architecture could reach its supreme condition once again and become its own particular type of music.” The Greek temple epitomised the relationship between music and architecture as it was a building created around musical performance. “The perfect form of the stones reflected the sounds of dancing, of flutes playing, and of singing in procession. It’s columns created a steady beat of solid and void” that could be read like a musical rhythm. The concert hall has become one of the best and most prominent examples of where architecture and music meet. The idea of acoustic generated architecture has been a dominant idea since the Expressionist movement. “Hans Scharoun designed what he called ‘vineyards of people’ in his Berlin Philharmonic Hall, and surrounded them with forms which reflected and at the same time dampened the sound.” This design has been adopted by architects such as Rafael Moneo and Renzo Piano, and was employed particularly successfully by Frank Gehry in his Disney Hall in Los Angeles. When designing the building, Gehry took into account how the musicians would experience the building, and believed that if the sound was good, the musicians would feel more confident and would play better. It was his belief that the orchestra is only as good as the hall they play in, and because of this, the hall must itself become the perfect instrument. 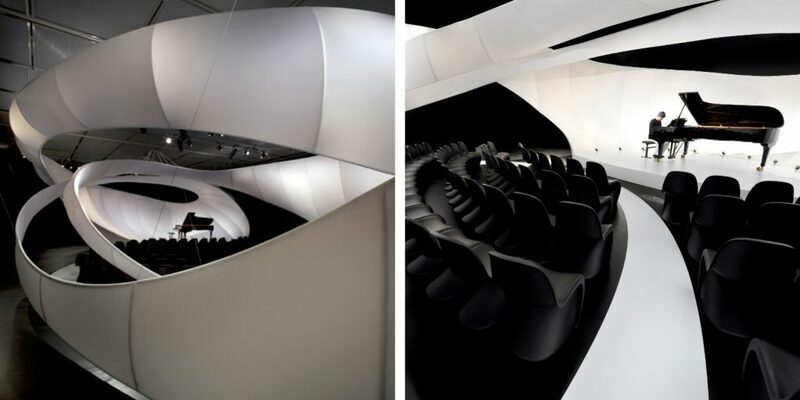 The concert hall’s internal forms and the curved, billowing ceiling form the basis of the acoustical system, as well as referencing the sculptural language of the exterior. “In this pulsating room, it is as if listeners were inside a giant, wooden cello vibrating in sync with both the musical chords and the architectural space”. 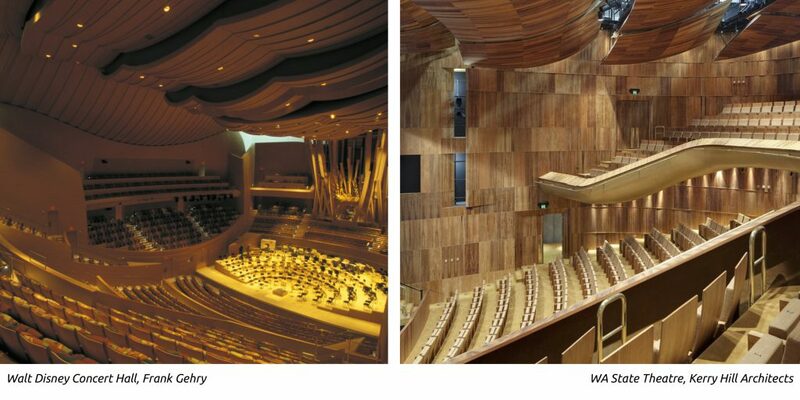 Our very own WA State Theatre Centre, designed by Kerry Hill Architects engaged these same principles in the design of the main theatre, also utilising billowing timber ceiling baffles to allow for precise acoustics, and to create a more intimate space between the audience and the performer. The two venues are also similar in their use of timber as the main material, allowing for a very warm, balanced sound within. “The way music developed in time was strongly affected by the acoustics of the spaces that were available for playing music.” At a TED talk in 2010, David Byrne, formerly of band Talking Heads, spoke about how he believes architecture has helped music evolve. He asked the question “does the venue make the music?” From outdoor performances to Opera and arena concerts, he explored how context has pushed musical innovation. Byrne talks about how the music written for and performed in Gothic cathedrals is perfect for that context. This music doesn’t change key, the notes are long, and there isn’t much rhythm, which means the large, high vaults in such cathedrals flatter the music. In fact, it even makes the music sound better. 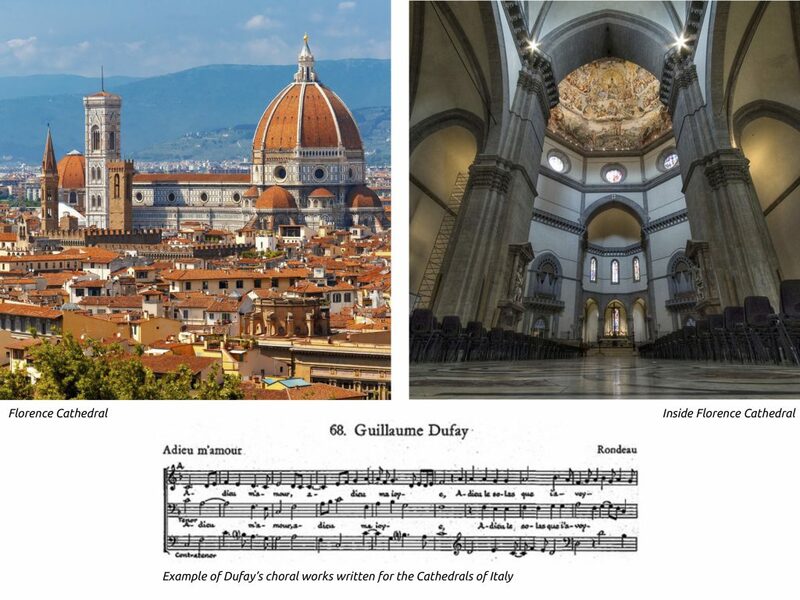 The dramatic vertical spaces in these Gothic cathedrals liberated a similar verticality in music, with the introduction of polyphony, which consists of two or more simultaneous lines of independent melody, when previously there had just been one. In the 18th century, as more types of performance venues emerged, the fluid music that filled cathedrals became much more textured and rhythmical . Composers began branching out and writing for smaller venues as well, which meant they could write music that was more intricate and included more key changes without the risk of huge dissonances, that is a lack of harmony and a harshness to the music. As they approached the end of the 18th century, the rooms they were writing for were smaller again, meaning they were even less reverberant, and composers like Mozart were writing even more intricate and ornamented pieces. Orchestras grew in size in the late 19th century during the late Romantic period, when building technology made it possible to construct larger halls for larger audiences, which meant the scale and complexity of musical works expanded. 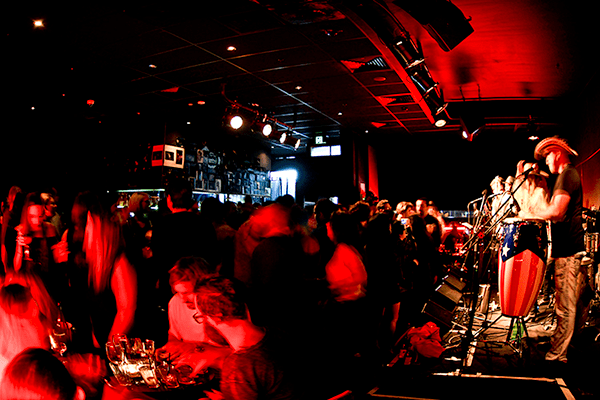 In the 20th century, with the introduction of more lively genres of music and the advent of radio, a new dynamic was created between live music, recorded music, and performance venue. In the same way the fast, intricate melodies of Jazz pieces wouldn’t suit cathedrals, subdued chords and elongated rhythms wouldn’t find a home at crowded bars and clubs. Places that were not previously associated with music were now places for musical expression, places like bars and clubs, expanding the music-architecture relationship from just cathedrals and concert halls to include a whole new type of architecture. There were places that solely played recorded music, and others that were dedicated to live music. Now musicians were writing and making music specifically for sound systems rather than just for places. It’s not hard to see how each genre of music has a place in which it belongs. “Rap and hip-hop have their best moments in car sound systems, punk was at its best in asymmetrical and small places, and arias inside gothic cathedrals. These are all places where a jazz concert, for instance, with its intricate melodies and sharp pitch changes, would not sound to its full potential.” Today we can listen to each layer of sound through our iPod’s headphones, and because of this music is specifically written for this kind of environment, where you can hear extreme detail, but the dynamic doesn’t change much. Through my series of articles I have explored many examples of the relationship between music and architecture, from churches to music festivals, to the music on a page. However a question still remains, is there a truly deep connection between architecture and music, or does the relationship only exist on the surface? I don’t think there is a definitive answer to this question. It is my belief that there is a profound relationship between the two, but I think only the individual can decide for themselves whether they too can see this connection. So instead I’ll ask you this; the next time you’re listening to music in a church, or at a music festival or a concert, or even just reading music on a page, take a moment to embrace these two arts together, in harmony, and maybe you’ll see, or hear, a little differently. Jencks, Charles. “Architecture Becomes Music.” Architectural Review 233, no. 1395 (05, 2013): 91-108. https://search-proquest-com.ezproxy.library.uwa.edu.au/docview/1372642267?accountid=14681. Spaan, Machiel. “Introduction.” In Music, Space and Architecture, edited by Klass de Jong, 30-33. Amsterdam: Amsterdam Academy of Architecture, 2012. September 22, 2014. Accessed March 10, 2018. https://issuu.com/bouwkunst/docs/musicspacearchitecture. “Acoustic Architecture.” ABC News. November 13, 2013. Accessed May 4, 2018. http://www.abc.net.au/radionational/programs/archived/intothemusic/acoustic-architecture/4969332. Voorthuis, Jacob. “Thinking boundaries in the production of architecture and music.” In Music, Space and Architecture, edited by Klaas De Jong, 51-60. Amsterdam: Amsterdam Academy of Architecture, 2012. Accessed March 10, 2018. https://issuu.com/bouwkunst/docs/musicspacearchitecture. “Acoustics | Walt Disney Concert Hall 10th Anniversary.” Architecture | Walt Disney Concert Hall 10th Anniversary. Accessed June 03, 2018. http://wdch10.laphil.com/wdch/acoustics.html. Metkemeijer, Rob. “The Acoustic Space.” In Music, Space and Architecture, edited by Klaas De Jong, 51-60. Amsterdam: Amsterdam Academy of Architecture, 2012. Accessed March 10, 2018. https://issuu.com/bouwkunst/docs/musicspacearchitecture. Aleph, Faena. “David Byrne, on the Relationship between Architecture and Music.” Faena Aleph. December 11, 2014. Accessed May 28, 2018. http://www.faena.com/aleph/articles/david-byrne-on-the-relationship-between-architecture-and-music/. 2 + 3. Florence Cathedral. Florence. In Museums in Florence. Accessed June 5, 2018. http://www.museumsinflorence.com/musei/cathedral_of_florence.html. 4. Dufay, Guillaume. “Adieu M’amour.” Digital image. Engines of Our Ingenuity. Accessed June 5, 2018. https://www.uh.edu/engines/epi2451.htm. 6. Gehry Partners, LLP. Walt Disney Concert Hall. Los Angeles. In ArchDaily. October 23, 2013. Accessed June 5, 2018. https://www.archdaily.com/441358/ad-classics-walt-disney-concert-hall-frank-gehry/5266cc58e8e44ef4c20002c9-ad-classics-walt-disney-concert-hall-frank-gehry-photo. 8. 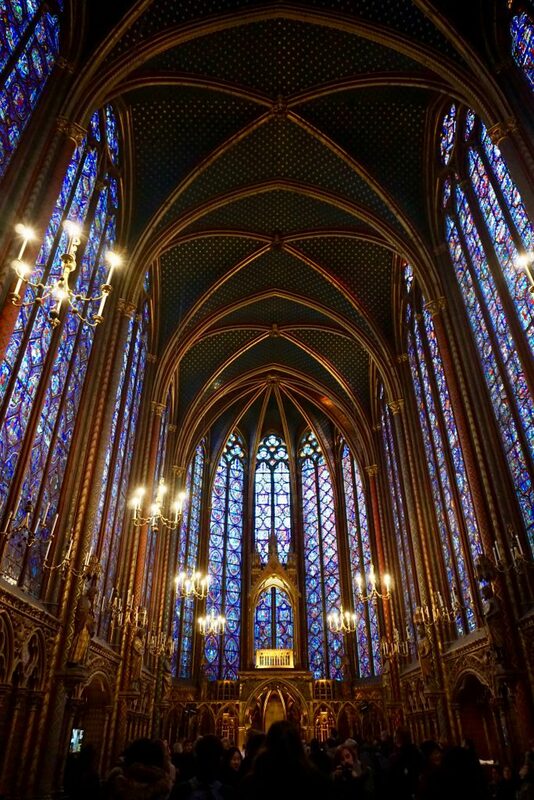 Sainte-Chapelle, Paris. Personal photograph by author. January 2017. WILL FEMALE ARCHITECTS REACH THE TOP FLOOR?